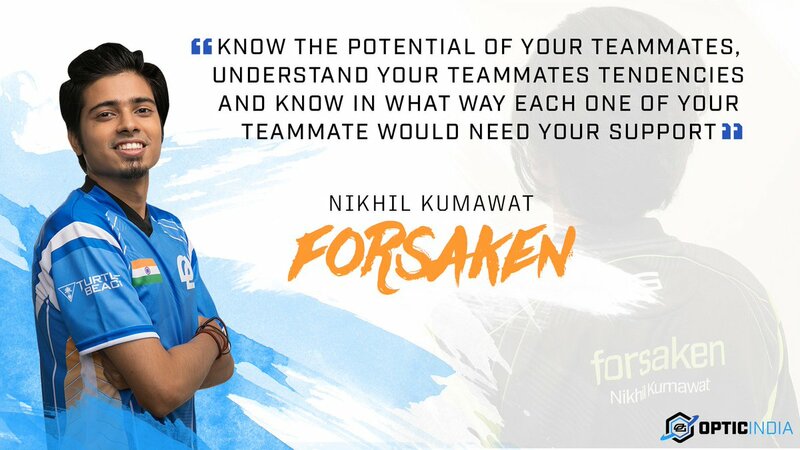 Forsaken: "No Good Things Happened Since I Play CS: GO"
Former CS: GO OpTic Gaming player, Nikhil "forsaken" Kumawat, finally got a sentence for the forbidden action (cheats) committed by him in the last few CS: GO tournaments. ESIC's General Manager, Kezra Powell, announced that Forsaken would receive a sentence not allowed to attend an event held by the Esports Integrity Coalition for 5 years. The sentence was handed down after Forsaken was found to have used a cheat during the ZOWIE Asia tournament eXTREMELAND tournament in Shanghai. In addition, ESL India also found that previously Forsaken also used the same cheat when competing in ESL India Premiership, which OpTic Gaming team won as first place. Match Analysis also found evidence that Forsaken used a cheat on his computer. Although there is no evidence against other players on OpTic Gaming, ESIC has not considered the validity of the OpTiC Gaming championship title on ESL India Premiership. According to Ian Smith, commissioner of ESIC, OpTic's victory could have been canceled, but had to wait for the next decision. Smith also expressed his disappointment with Forsaken. This event will greatly impact the world view on CS: GO eSports in India. He said, this should not actually happen in any eSports scene and hopes personally that Forsaken will never return to CS: GO or other games. Forsaken also opened his voice through AFK Gaming, and said that in fact he was quite confident in many things but not aiming. That is why he uses the cheat program. "If I can reverse the time, I will erase the day when I first played Counter Strike," said Forsaken. "There has never been a good thing since I played CS: GO". Forsaken expressed his apology to the team member and CS: GO India community for his actions. He said that this was the price that had to be paid for his actions, as well as those who believed him. Forsaken realized that his career at CS: GO was over. As a result of this case, OpTic Gaming has released Forsaken and removed all their CS: GO roster. Although the purpose of OpTic Gaming's inception is to improve the CS: GO community in India, but with the end of this team it will certainly have an impact on the development of CS: GO in that country.